change your life, lose weight and feel fantastic! WHEN YOU BUY ANY OF OUR DIET DROPS KITS, YOU WILL RECEIVE A MANUAL, WHICH WILL GUIDE YOU THROUGH THE ENTIRE DR SIMEONS’ HCG DIETARY PROCESS. You can then register online to access your copy of the recipe ebook, FAQs, troubleshooting which explain and provide solutions to any plateau, perceived setback or queries you may encounter. We are here for you throughout your entire journey to help you achieve your goals and healthy success. 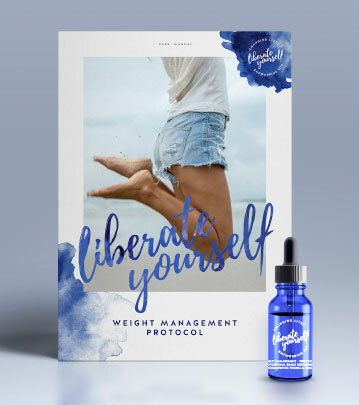 Packed with useful information, answers and inspirational quotes, the Liberate Yourself user manual includes a personal goal setting journal, calorie counters, daily weight record holders and weekly measurement charts and phase 3 journal to record important observations. They’re your tools to get on track with your health and fitness journey. One 60ml dropper bottle of premium quality bioenergetic, homoeopathic diet drops (sufficient for one 42 day protocol) This quantity is generally sufficient for a weight loss of more than 7kg. One 30mL spray bottle of premium quality bioenergetic, homoeopathic diet drops (sufficient for one 23 day protocol) This quantity is generally sufficient for a weight loss around 7kg or less. One 30ml dropper bottle of premium quality bioenergetic, homoeopathic diet drops (sufficient for one 23 day protocol) This quantity is generally sufficient for a weight loss around 7kg or less. 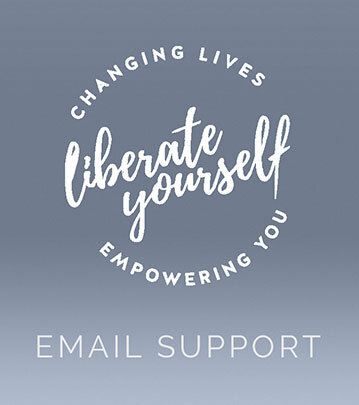 Enjoy unlimited email support with a highly qualified naturopath for the entirety of your program on all matters specifically relating to the program. starting the program with a friend?